We all know what it’s like to stick to our beloved routines, but as the world continually evolves, so do our everyday products. Not to mention life is a constant hustle and bustle, so let’s upgrade to simple! Norwex helps us do that by taking our average everyday products and turning them into a thing of the past. Makeup lovers know how gratifying it can feel when we apply our craft and our confidence skyrockets. However, it’s inevitable, when the day winds down, it must come off. This can become such a daunting task when having to use multiple wipes, oils, balms, and alcohol-based removers. It’s no secret as to why the beauty industry is worth $445 billion dollars. Products can be costly and along with that, so can its removers. Not to mention the copious amounts of harmful chemicals that we put directly on our face and eyes to do so. All of these cleansing products and makeup removing methods can become a strain on the wallet and jeopardize our natural beauty. Norwex offers a better solution to stay glowing! The Makeup Removal Cloth Set contains three cloths in various colors to use every day. 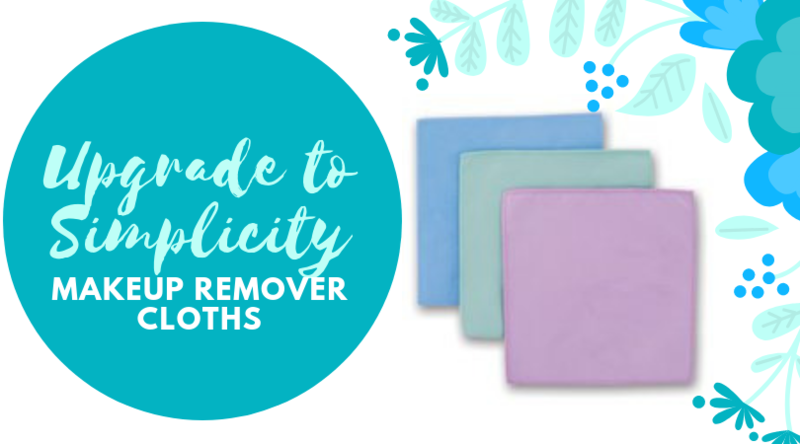 Made from Norwex antibacterial microfiber, these cloths contrast the ordinary face towel. There is no need to worry about proper sanitation with this trio. The Makeup Removal Cloth Set uses BacLock® technology that contains self-purifying properties to protect again mold, fungi and bacterial odor within 24 hours so that it is ready to use again. Norwex’s cloths can help you prevent stripping the skin of its natural pH levels, moisture, and essence. By ditching the chemicals and harsh cloths, it couldn’t be any easier! You just moisten the cloth under running water, wring it out and begin wiping your face to remove makeup and impurities. Traditional makeup removing methods can be quite costly, instead, the Makeup Removal Cloth Set only costs $19.99 for a continual hygienic use! You will no longer have to toss out a dirty wipe that will end up sitting in a landfill or floating in the ocean for all eternity every day. Instead of dreading the unavoidable moment, upgrade to simplicity. Spend your time, money and energy at the family dinner table, not removing your makeup!